Whether you’re interested in becoming a Bitcoin miner for the first time or you’re simply seeking a new Bitcoin mining pool, we’re here to help! In this article, we’ll examine the top five Bitcoin mining pools. It’s worth noting that this article is about mining with your own Bitcoin mining hardware and not cloud mining. Mining pools allow individual miners to join their mining resources with other miners, to improve their chance of solving a block and earning money. There are several pools to choose from, that are different in size and the payment methods they offer. 1. What are Bitcoin mining pools? If you already read our guide on Bitcoin mining, you know that new Bitcoins enter the circulation as a “prize” for a miner who manages to guess the solution to a mathematical problem. The winning miner get to add the latest block to the blockchain and update the ledger. By design, the more miners you have, the more difficult the problem gets, and vice versa. This system is called ‘mining difficulty’ and it was designed to regulate the flow of new Bitcoins into the system (i.e. to prevent inflation). 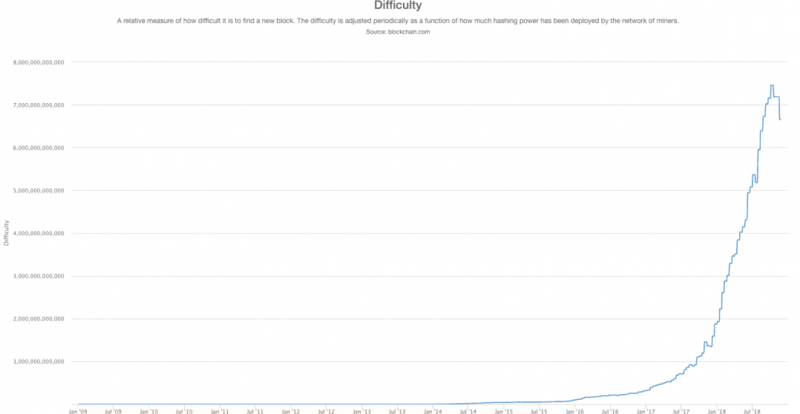 Bitcoin’s popularity boost made the mining difficulty sky rocket and rendered home mining operations pretty much obsolete. As more and more people jumped on the mining wagon, the mining difficulty rose to a point that it became unprofitable to mine with a home operation. Throw in the initial & ongoing costs involved in home mining (buying the gear, electricity bills, etc) and not only you’re not making any money – you’re losing it. Mining pools are basically groups of miners who pool their mining resources together to get more hashing power. The more hashing power you have, the more chances you have of adding a block and claiming the reward in a given time frame. With mining pools, miners manage to solve problem more often than they would mining solo. The rewards are then split between the pool members, proportionally to the amount of hashing power their gear contributed to the solution. The mining pool owner usually charges a fee for setting up the pool as well. The pools vary in their payment methods, as well as in the fees they charge and other parameters. In the following chapters we will review different mining pools and ways to decide which one to choose. Pool size: Bigger pools offer more regular payments. However, the payout is smaller because it’s shared among more members. Smaller pools offer less frequent payments but larger payouts. Whichever you choose, the return should even out in the long term. 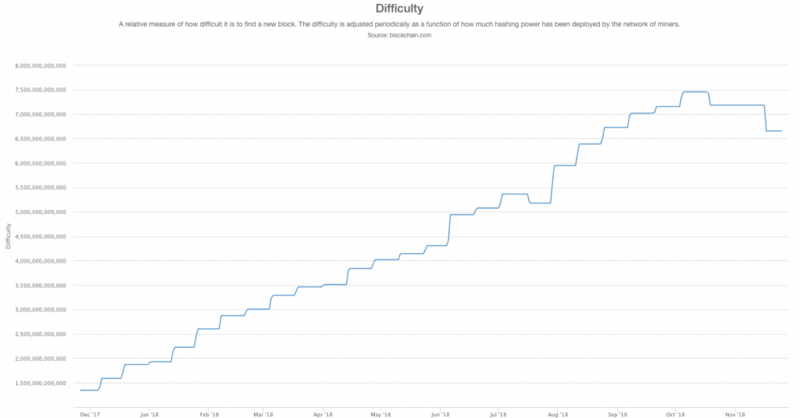 Fees: Some Bitcoin mining pools charge fees, and some don’t. Fees can range from as little as 0%, and go as high as 4% off the reward. Reliability and security: An important thing to look out for is whether you can trust the pool to not cheat and steal your funds, or not get hacked and lose your earnings. While this is true with every third party that holds your money (e.g. a Bitcoin exchange), apply extra caution when selecting a mining pool. A good way to mitigate such risks is by joining a more veteran, established pool. Make sure to also read user reviews before you join, keeping in mind that there’ll always be disgruntled users so nothing should be taken at face value. Payout policy: Another thing mining pools vary in, is their payout policies. Whether you want regular daily payments or get paid whenever a block is solved by the pool, make sure to do your due diligence before you sign up to a pool. Before we can understand how mining pool reward methods work, we need to first understand what shares are, in relation to mining. Simply put, shares are units that allow pool owners to calculate individual miner’s contribution to the hashing effort. Whenever miners are mining via a pool, they receive shares that are proportional to their contribution to solving a block. Miners can then get paid by the pool, according to the amount of shares they received. Pay-per-Share (PPS): In PPS payment scheme, miners receive shares that can be paid out at any point along the hashing process. PPS allows miners to get paid for shares they received, regardless of whether a block has been solved during their participation. To achieve that, the pool operators pay miners from their own balance. The shares’ rate is fixed and known in advance. A newer version of PPS, PPS+ rewards PPS as well as the TX fees included in the block. The reward TX fees are distributed using PPLNS. This payment method guarantees payments and leaves the miners with very little risk of not being paid for their contribution. The downside of this scheme is the high fees the pool owners charge, to mitigate the risk they take by paying regularly. Proportional: Just like in PPS, miners submit shares along the block finding period. The more hashing power you have and the longer you mined for the block, the more shares you submitted. Once a block is found, the pool pay the miners according to the amount of shares they received. However in this payment method, the value you will receive for each share will equal the block rewards divided by the total number of shares submitted by all miner. This means that the more miners that join the pool, the lower the value of each share you recieve. Score-based: This payment method was designed to prevent miners from pool-hopping. Your mining time and hashing power are calculated into a ‘scoring hash rate’ score. The longer you stay on the pool, the greater your score is and the greater the value of the shares you receive. Once you stop mining, your score gets smaller and the value of your shares drop accordingly. Miners are rewarder once a block is found. Pay per Last N Shares (PPLNS): In PPLNS, miners only get paid for shares received during a predefined “window” that ends in the block solving. Unlike other payment schemes, shares received outside of the window will not be rewarded at all. This window can either be defined as a time frame (uncommon), or by a certain number (N) that represents the last shares received up to the block solving. For example, if N equals 1 Billion, once a block is found only the last 1 Billion shares will be rewarded. While not defined anywhere explicitly, N is usually set as a multiple of the mining pool difficulty with a constant, usually 2. Due to this, PPLNS is also called Pay per Luck Shares. When implemented correctly, miners can’t predict the right time to join, so they can either get higher rewards if they got to receive more shares within the last N shares, or get no reward at all if they didn’t. Naturally, if you hang around a certain pool for long enough, your hits and misses should eventually even up. Announced in 2010, SlushPool was the very first Bitcoin mining pool and undoubtedly led the way for many other mining pools to come. Founded by SatoshiLabs current CEO Marek Palatinus (aka Slush), it’s based in the Czech Republic and follows a score-based system to discourage pool-hopping. This is a medium-large sized pool. SlushPool claims a 2% fee from every block solving reward. SlushPool’s dashboard is very user friendly and provides excellent detail with regular updates. While it may not be the largest of the Bitcoin mining pools, it’s certainly considered one of the best. 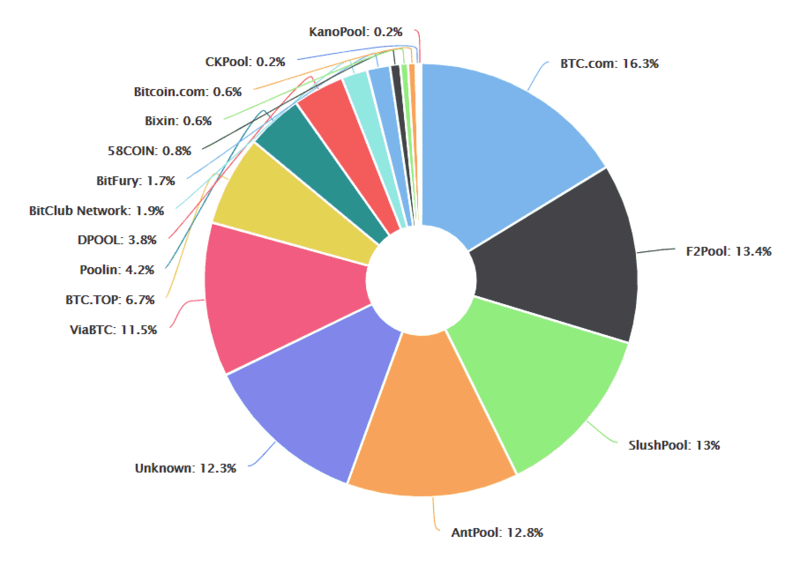 Antpool is a Chinese Bitcoin mining pool operated by Bitmain Technologies. It is medium in size. One advantage Antpool has is that you can choose between PPLNS (0% fee) and PPS+ (2% fee), both of which have their own advantages. In terms of payments, they’re made once per day if the amount exceeds 0.001 Bitcoin. Those new to Bitcoin mining will appreciate the clean interface. The dashboard clearly displays earnings and hashrates. There are also a variety of security options, including two-factor authentication, email alerts, and wallet locks. Known for their wallet and their own blockchain explorer, BTC.com have been around for a while, before opening a pool in 2016. Owned by Bitmain Tech, BTC.com is the largest pool around, at the time of writing. BTC.com have their own payment method, FPPS, which similar to PPS+ include TX fees in the payouts, along with the block reward. As for mining fees, BTC.com charges 1.5% and has a 0.001 BTC payment threshold. F2Pool is a medium-large pool established in 2013. Operating a PPS+ reward system, F2Pool takes a 2.5% fee, which is a bit on the high side. Aside from Bitcoin, F2Pool also supports mining Litecoin (LTC), Ethereum (ETH), Zcash (ZEC), as well as additional other coins. There’s a daily automatic payout, and the minimum withdrawal is 0.005 BTC. Unlike some Chinese Bitcoin mining pools, it has an English interface. The layout is quite simple, with information presented in a clear and concise manner. Also known as KanoPool, Kano CKPool was founded in 2014. This small Bitcoin mining pool offers PPLNS payment model, charging a 0.9% fee. With regard to payout, per each block found you will need to wait +101 block confirmations to get paid, which might take some time. This is a relatively simple pool with an interface that could do with an update as it’s not the most user friendly. It doesn’t have much in the way of features, but it does have two-factor authentication for an extra layer of security. Launched in 2016 and headquartered in china, ViaBTC is a medium mining pool. Additional to BTC, the pool supports LTC,BCH, ETH, ZEC and DASH mining. ViaBTC offers both PPS (4% fee) and PPLNS (2% fee) payment methods. ViaBTC are known for being to able to maintain a high uptime, more that 99.9% as of writing. The newest pool in the lot, China based BTC.top was founded in 2017. The company was founded by a former employee of China Mobile, Jiang Zhour. The pool is medium in size at the time of writing. At the moment, BTC.top is a private mining pool and thus cannot be joined. Also, its website is in Chinese only. 5. Conclusion – Which pool should you choose? Joining a mining pool is the logical thing to do if you want to make money mining Bitcoin. The pools vary in size, payment methods and fees. Larger pools are safer and offer more frequent yet smaller rewards, and vice versa. Due to this, it’s imperative to do your due diligence before signing up with any pool. If you want to share your experience with one of the pools above, or tell us of a new pool, feel free to drop us a line in the comments section below. Do you know about hashloft.io ? Hashloft.io provides a special Multi-Algo Mining Pool which creates the ability to mine any cryptocurrency coin from the most popular hashing algorithms. Hashloft’s unique and user-friendly DeversiPay™ payout system, allows payouts to be received in Bitcoin, Litecoin, DASH, and many other popular coins by having a fraction of your income distributed across several cryptocurrencies. Please… do one need to buy (pay for) hashpower on a mining platform after registration, if he/she wants to use a mining hardware like Antminer or DragonMint..?? Or he/she just have to configure the miner hardware to his/her mining pool via the hash url…??? I used to mine with CoinImp pool so far but they closed it and actually implemented a pretty better way of .js mining (embedding a code). It actually works much better if you own a high traffic site, if you don’t I’d suggest you to mine locally. Thanks for the read Mark. Great tips! Joining a top mining pool will help you earn even faster. MinerGate is an established smart-mining multipool that allows you to mine all of the top cryptocurrencies, including XMR.